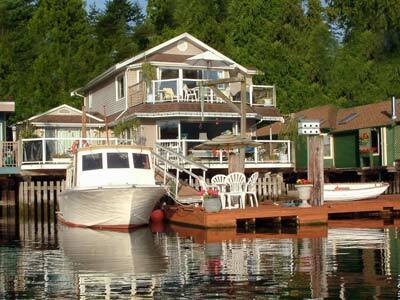 The Porthole gate provides private access to this snug cottage beside our main house. 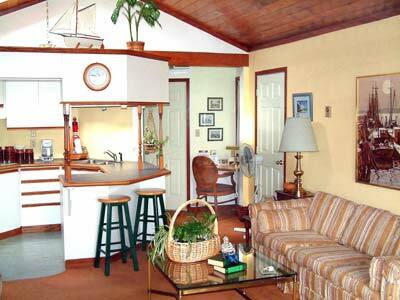 The cottage has an open plan lounge, dining and kitchen area under a vaulted wood paneled ceiling with skylights. 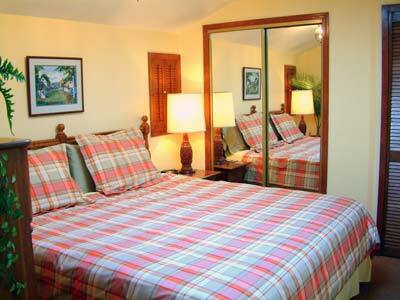 A luxurious king bed with cozy duvet and the gentle lap of the ocean below ensure restful sleep. 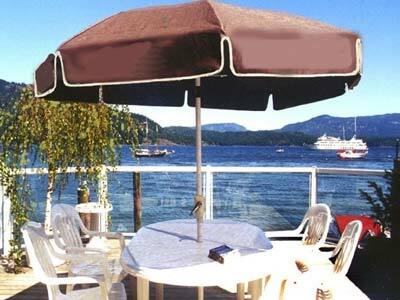 A private bathroom, laundry, a fully equipped galley kitchen, cable TV and VCR complete the unit. 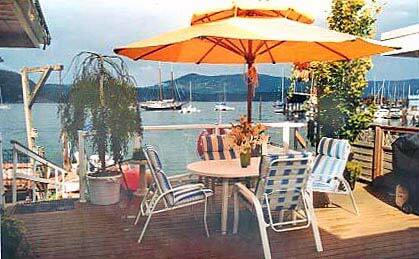 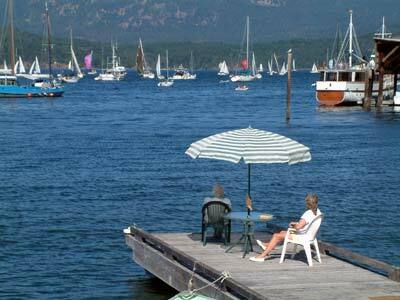 Outdoor amenities include a generous deck area, BBQ, patio furniture, and access to our private dock and row boat. 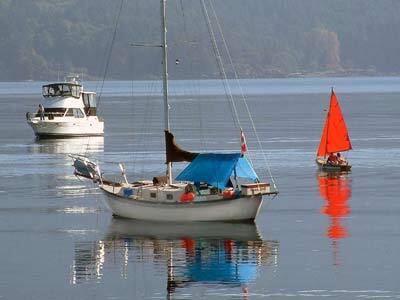 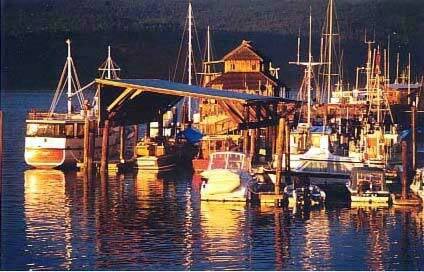 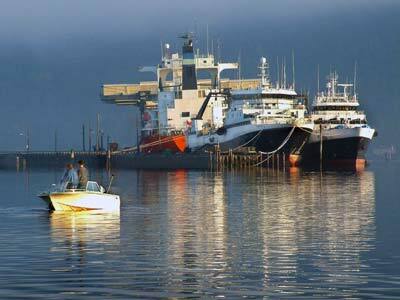 Sweeping views of the Bay, mountains, Saltspring Island, adjacent marinas and boat launch ramp, plus tug, log boom, barge, freighter traffic and Indian canoe races across the Bay, as well as a variety of birds and marine mammals provide a constant source of interest.